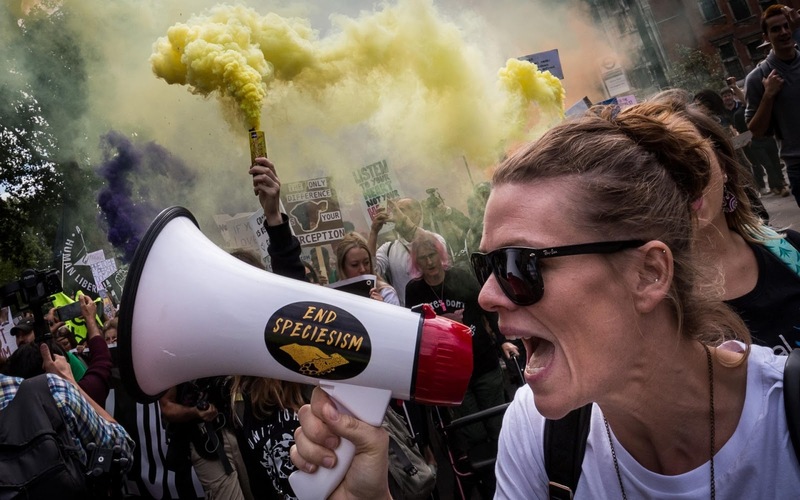 Several thousand animal rights protesters and other vegan supporters march through central London calling for an end to killing animals for human benefit. 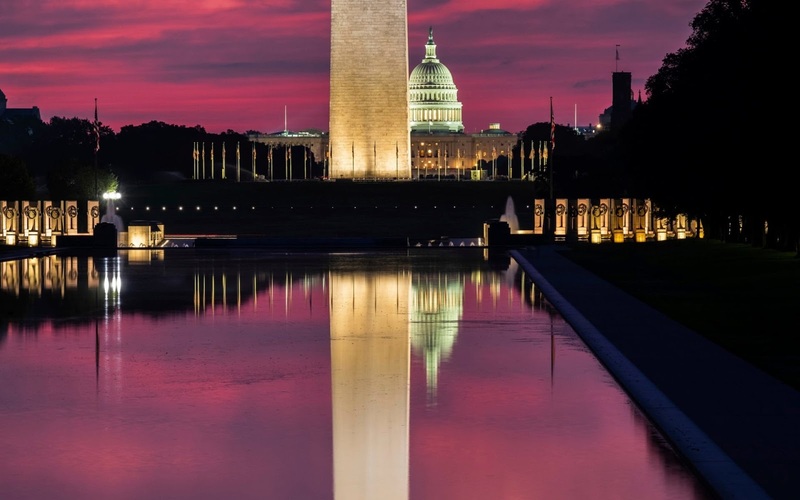 The U.S. Capitol and the base of the Washington Monument are mirrored in the reflecting pool on the National Mall at sunrise in Washington. 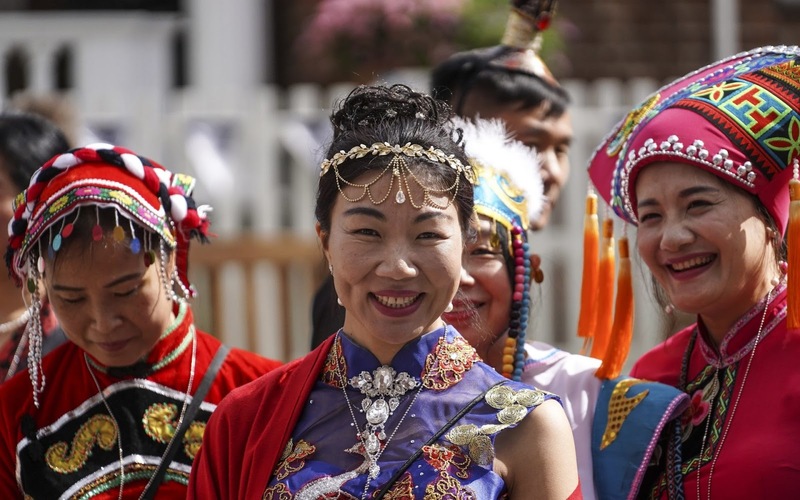 Chinese visitors at York Racecourse, in York. 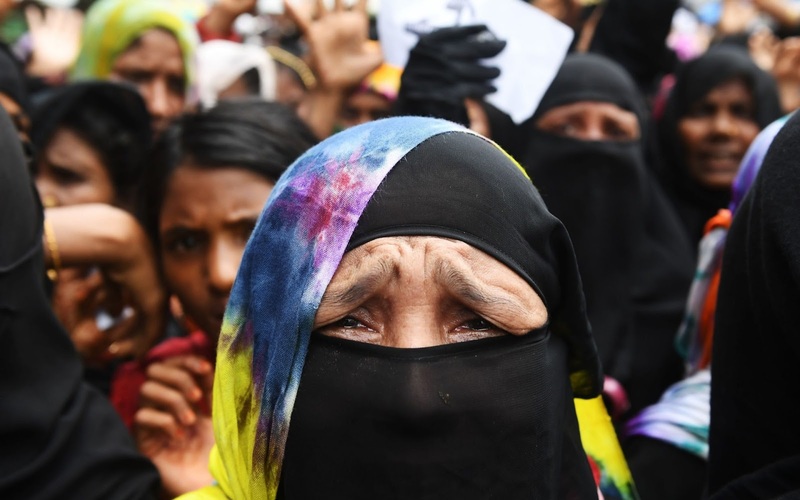 A Rohingya refugees bursts into tears during a protest march after attending a ceremony to remember the first anniversary of a military crackdown that prompted a massive exodus of people from Myanmar to Bangladesh, at the Kutupalong refugee camp in Ukhia. 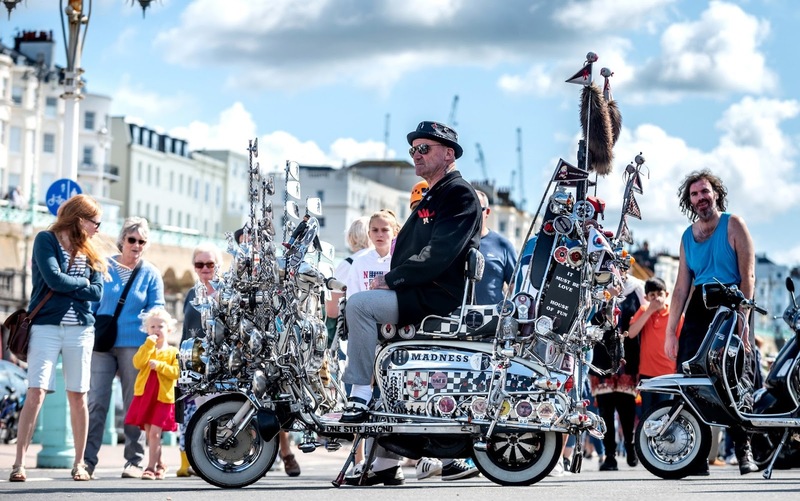 Dell Watson, 64, from Hemel Hempstead poses with his motorcycle during the Annual Bank Holiday Mod Weekender in Brighton. 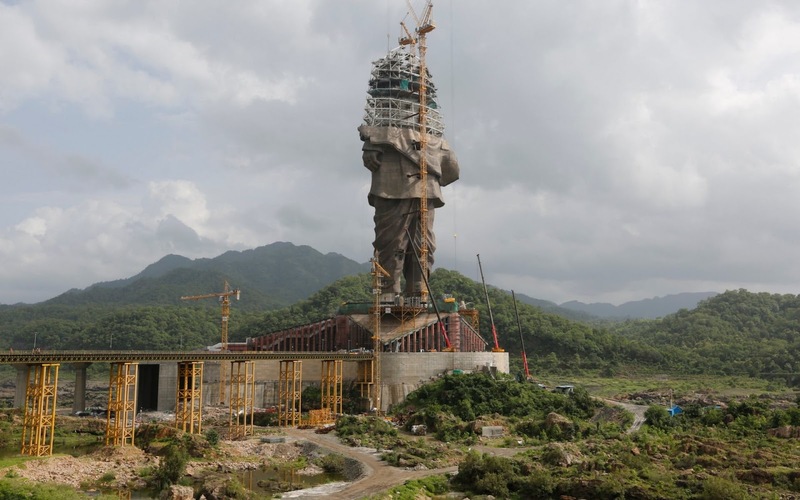 The under construction Statue of Unity stands facing Sardar Sarovar Dam at Kevadiya Colony, about 200 kilometres from Ahmadabad, India. 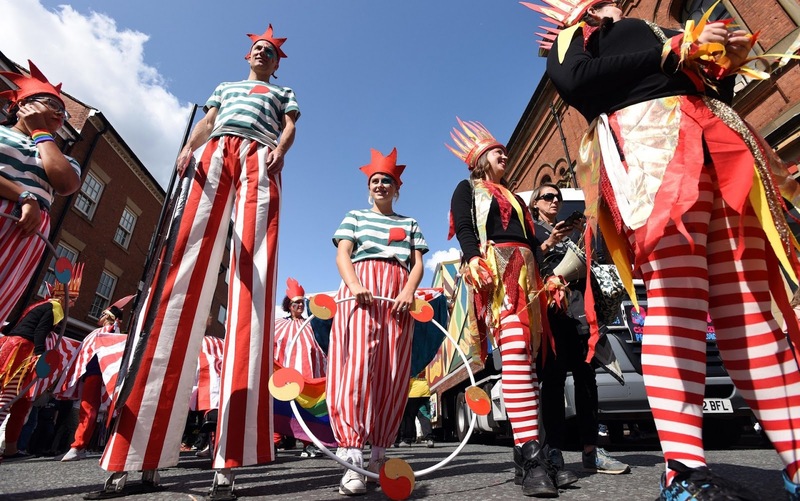 People dressed as circus performers wait for the start of Manchester's huge annual Pride parade, whose theme this year was The Circus of Acceptance. 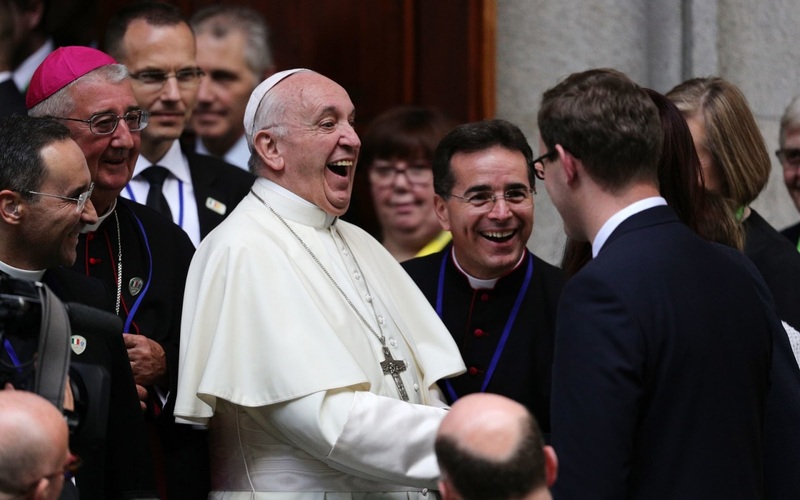 Pope Francis leaves St Mary's Pro Cathedral in Dublin, after meeting with recently-married couples, and couples preparing for the Sacrament of Marriage, as part of his visit to Ireland. Rachel 'Agnes Young' Sinclair from USA performs during the Air Guitar World Championships final in Oulu, Finland. 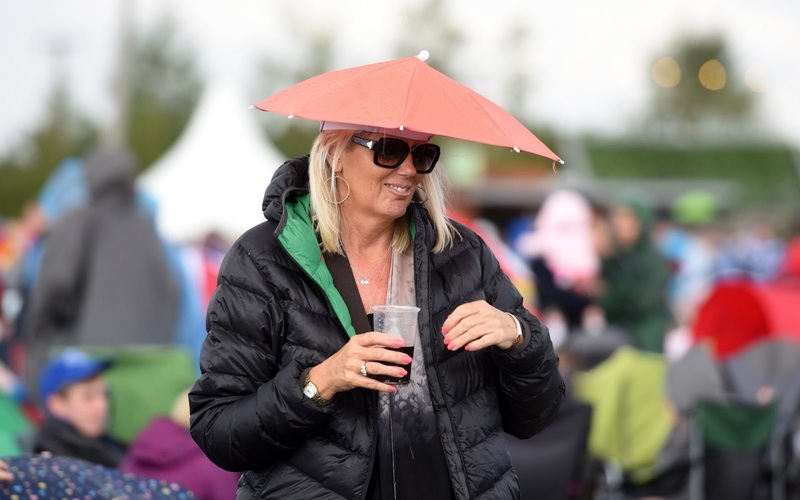 Festival goers at the Big Feastival on Blur Guitarist Alex James farm in the Cotswolds shelter today as the rain falls. 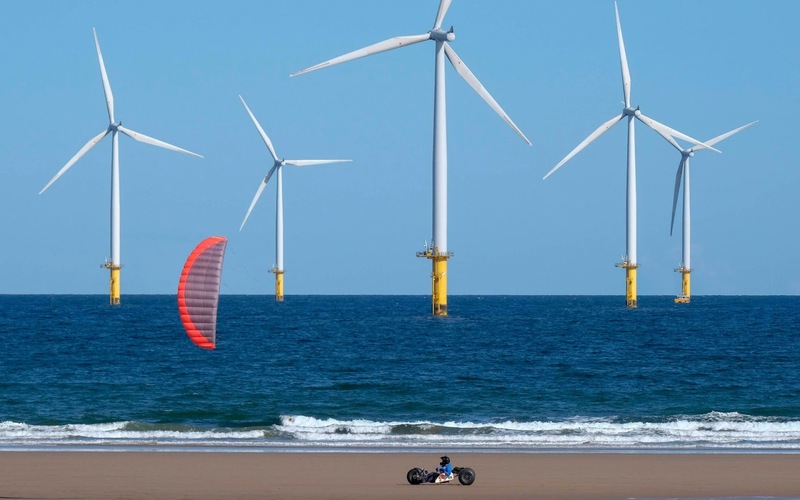 The bank holiday windy weather makes for perfect kite buggying conditions today along the beach at Redcar in front of the Teesside Offshore Windfarm. 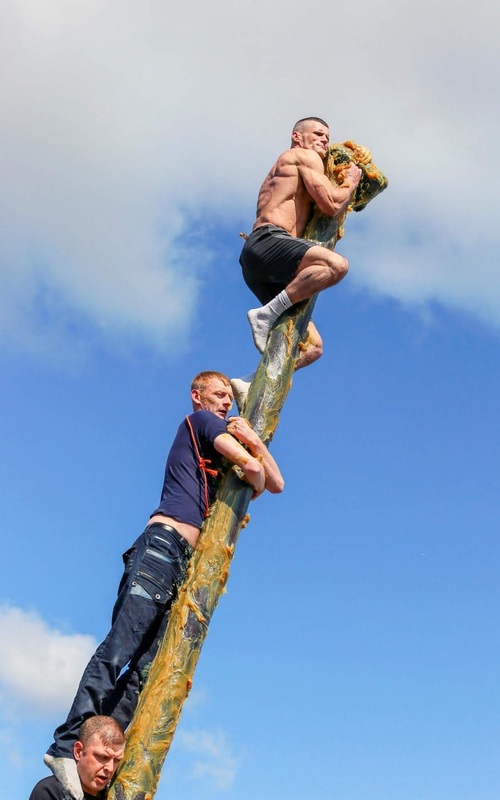 Climbing the greasy pole, a 10 metre telegraph pole covered in axle grease, is one of the public's favourite competitions of the annual Marymass Festival in Irvine, Ayrshire. 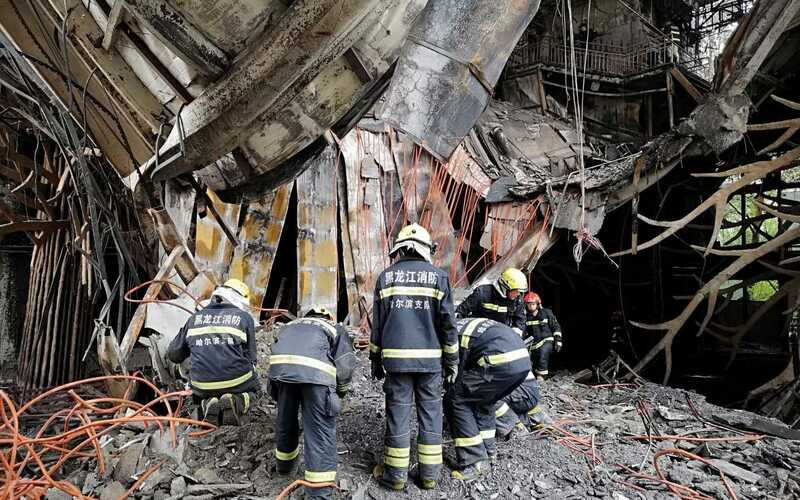 Firefighters conduct rescue work in the ruins of a burnt-down hotel in Harbin, northeast China's Heilongjiang Province. A man prepares a goat during the Royal Ascot Goat Races in Kampala, Uganda. 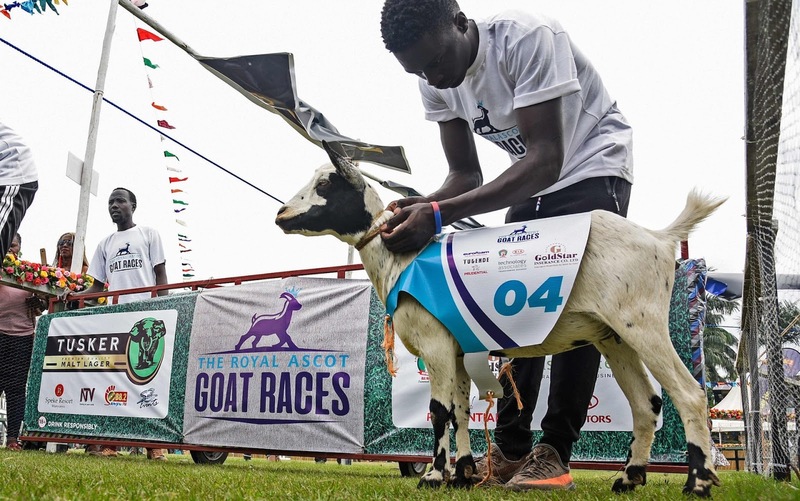 This charity goat race event which started in 1993 as a parody of Britain's famous horse race, the Royal Ascot race meeting, revived after six years. 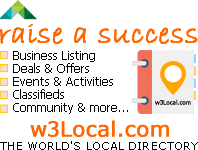 The revenue of the event will support children's rugby activities in Kampala. 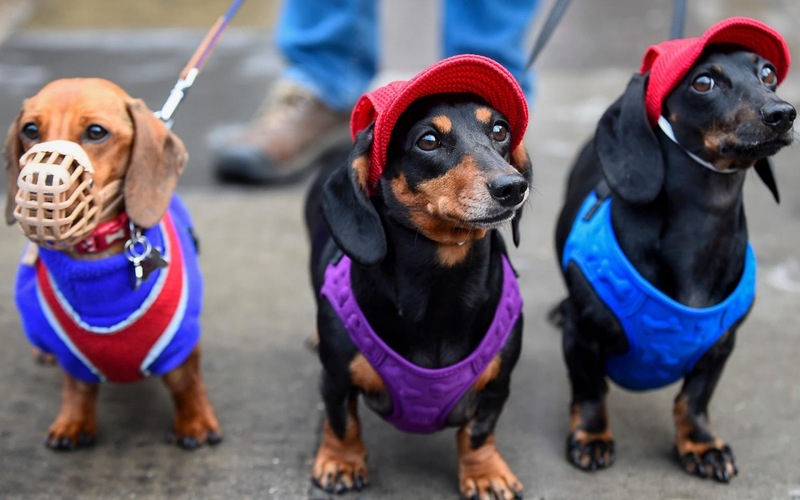 Sausage dogs (dachshunds) take part in a parade during Smithfield 150, a celebration on the 150th anniversary of Smithfield Markets in Farringdon. A model participates in the 2018 Daegu International Bodypainting Festival in Daegu, South Korea.